Welcome back! Today’s lesson is from Romans 12. Worship means to show honor or love for something. We worship God. We want to show that He is the greatest and that we love Him and will obey Him. We give Him our hearts, our time, our things, we make our choices based on what He tells us. Some people think worship means singing to God…and that’s ONE way to worship God (and it’s a wonderful way!) but it’s not the only way! In Paul’s letter to the Romans he tells them LOTS of ways to worship God. He said we can worship God with our whole bodies…with everything we do. Every day we can worship God. Here are some of the way we show God we love Him, respect Him and think He’s the best! Everyday, Paul says, you can choose to not think you’re better than anyone else. Remember everyone who loves God has things they are good at and everyone can help others know God. So don’t think you’re better than anyone else…everyone just needs to do the best job they can loving God and loving other people. Then he says, stay away from bad things and always stay near what is good. Take care of other people. Be excited about God! Be joyful (kind of like happy) because you know God loves you and has great plans for you! Be patient and trust in God when hard or sad things happen. Always, always pray and talk to God. Share everything you have with anyone who needs it. You can also worship by being nice to people even when they aren’t nice to you. Be happy for your friends when they are happy, but if they are sad, be sad with them. Don’t fight or fuss with each other, try to get along. And don’t only hang out with people like you. Anyone can be your friend. And one more time he reminds us to not be overcome by evil, but to overcome evil with good. That means if someone is being mean, you don’t be mean back, love them! Loving God by singing, dancing, and praying are great ways to worship Him. But it is also worship when we love others, share with them and are nice even when people aren’t nice to us. That’s worship too! 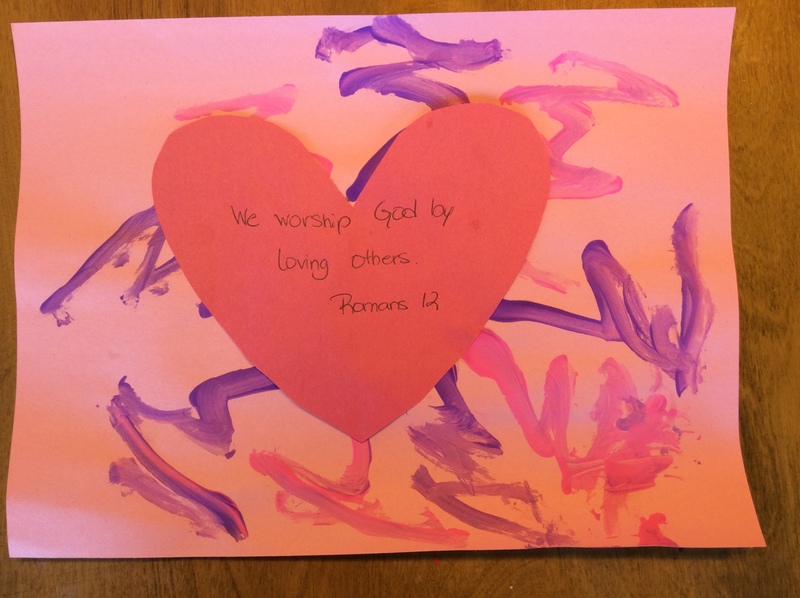 Isn’t it great that all the ways Paul shows us to worship God are things KIDS can do too!? Yay! This song by Casting Crowns relates to today’s lesson.